Necessity is the mother of invention. When we need a quick solution to a sudden problem, our creativity is often limitless. Whether this creativity is improving things or bringing even more problems is another question. We at WeGoRo collected some hilarious examples of human creativity. It is up to you to decide whether these are examples of total failure or brilliant engineering success. Your wife asked you to make a rocking chair for the front porch, and you made it from the available materials in less than 5 minutes. Is your house full of empty milk or beer crates? Don’t throw them away! According to some DIY design experts, you can make a bed or a sofa frame out of them. This natural-born engineer could not figure out how to refill the soap dispenser, but he did find a quick, easy, and working solution for the problem. This 5-wheel bike is surely moving, but wait until the man has to turn or stop...or suddenly hits a bump. Another solution for an absent front wheel: this 5-wheel bike not only moves but also accommodates your supermarket purchases. But the problem of turning and occasional pebbles on the road remains. A benefit of this car is that you might be able to drive it with a motorcicle permit. 7. This wall clock is fixed. Why buy a new clock when you can fix the old one using your imagination and drawing skills? 8. Here’s another way to fix a bike. It’s good that this bike is locked...someone might want to steal it. This filter was fixed with a straw. Let’s hope that it is not the last straw that breaks it even further. This guy had an important job interview to prepare for. 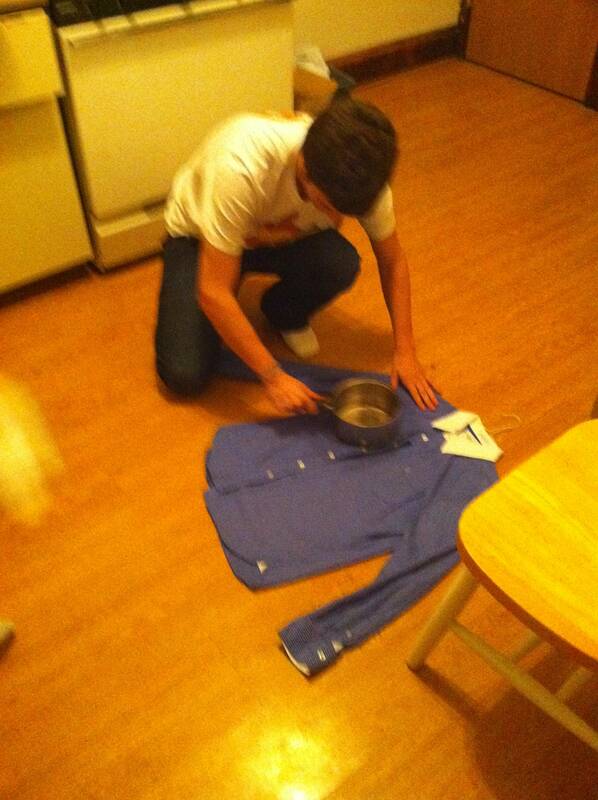 Let’s hope he got the job and can now afford to buy an iron. Desperate times require desperate measures. But why do you need to cut the paper towel in half instead of using just a piece of it? Stacking tennis balls inside the rear coil springs can apparently increase the stiffness and boost the stock spring rate in stock class. Is it a coincidence that there are no comments from people who tried this method? Coffee pots can be used for multiple purposes: steamed vegetables, hot dogs, grilled cheese sandwiches, and even boiled eggs. But what about just using it for making coffee? 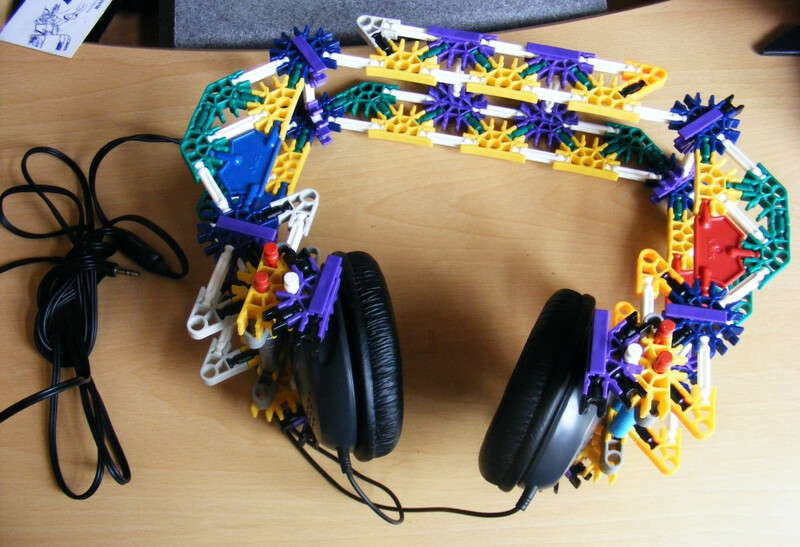 With this improvised headset, you can build a car when you are done listening to music. A perfect use for a TV that is not functional anymore! Although this TV table must be really heavy and unstable. 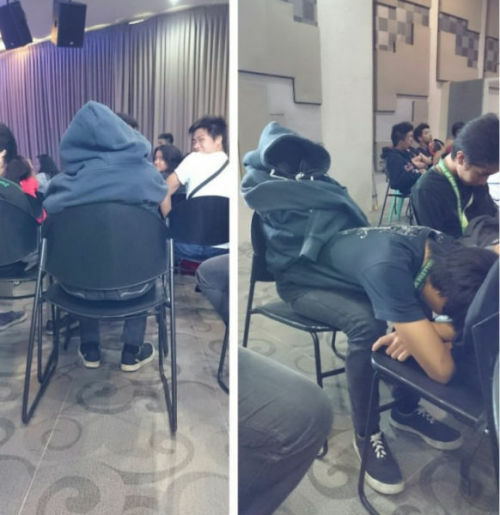 The lecturer will never guess that you are sleeping. The guy to his left should learn this trick as well. Make sure you don’t try to use it for singing just out of habit. He got the colors right, but how will he make sure that these things don’t melt when the light is on? 19. This wiper is also a broom. I don’t understand what is so “LOL” about it. It’s just a functional wiper for a functional BMW. I would avoid tanking at the gas station where the roof is fixed like that. Would you want to use any of these ideas? Have you ever applied your creativity and engineering skills to fix something? Did it work? Share your opinion and stories in the comments.